From the shoes on your feet to the car you drive, nearly everything you use in your daily life is man-made, or ‘manufactured’. At its most basic level, Manufacturing Engineering is designing things and taking them from concept right through to working products. The reality is more complex, of course, and much more interesting. Manufacturing Engineers: design a product, select the best technologies and processes for manufacturing it, plan and design the factory that will produce the product, and oversee the running, management, maintenance and improvement of the factory. It doesn’t end there. Manufacturing Engineers also get involved in supply chain management, logistics and distribution, quality management as well as environmental and life-cycle management. 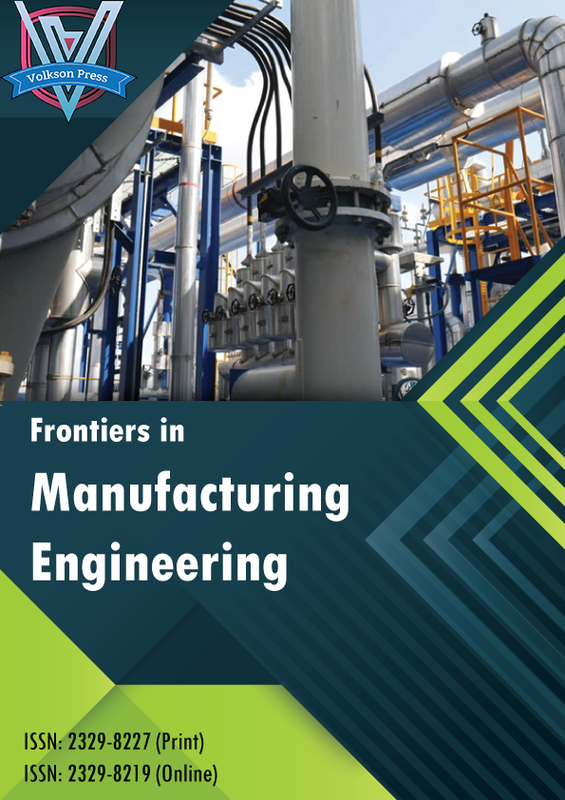 In short, Manufacturing Engineering is the branch of engineering that is concerned with understanding, analysing and improving complex industrial, manufacturing and infrastructure systems. We live in an age of rapid innovation, complex technology and sustainability. Naturally, the job of a Manufacturing Engineer has become even more important. Organisations, both public and private, are crying out for Manufacturing Engineers because they have diverse analytical skills, especially skills in integrating technology with commercial and organisational solutions. Manufacturing Engineering is based on core mechanical engineering skills, adding important elements from mechatronics, commerce, economics and business management. Why? Think about it like this.  Say a factory needs designing. Not only does the factory need to produce a product, it also needs to produce it efficiently and be able to meet the demand for the product, and do so at the right cost, quality and delivery timeframe. Phew, sounds complicated. And it can be. But because Manufacturing Engineers can see the ‘big picture’ as well as ‘the specific details’, their training, and broad skill set make it easy for them to get the job done. Manufacturing Engineering is probably the most flexible and marketable of all the engineering disciplines. In fact, many engineers that originally studied other engineering disciplines will end up practicing as Manufacturing Engineers.Manufacturing engineering is an extremely important discipline worldwide. It goes by different names in different countries. In the United States and the continental European Union it is commonly known as ‘Industrial Engineering’ and in the United Kingdom it is called ‘Manufacturing Engineering’, as is it in Australia. 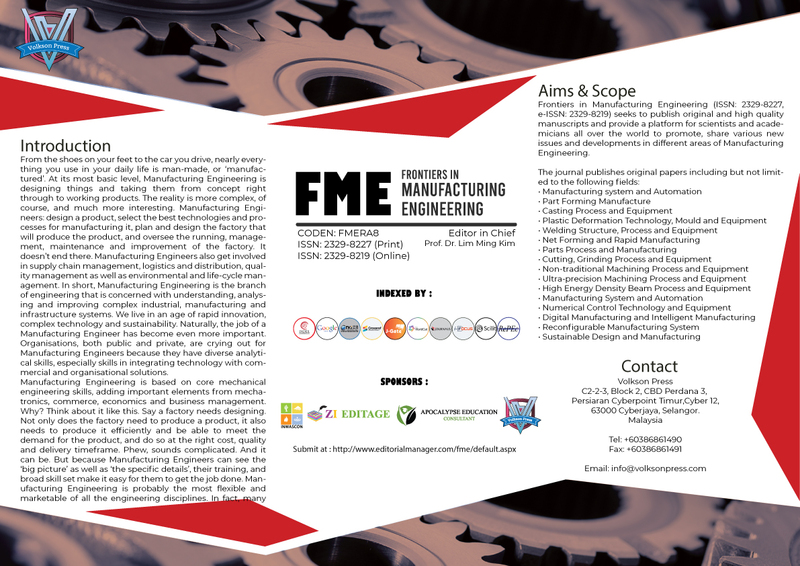 Frontiers in Manufacturing Engineering (ISSN: 2329-8227, e-ISSN: 2329-8219) seeks to publish original and high quality manuscripts and provide a platform for scientists and academicians all over the world to promote, share various new issues and developments in different areas of Manufacturing Engineering.